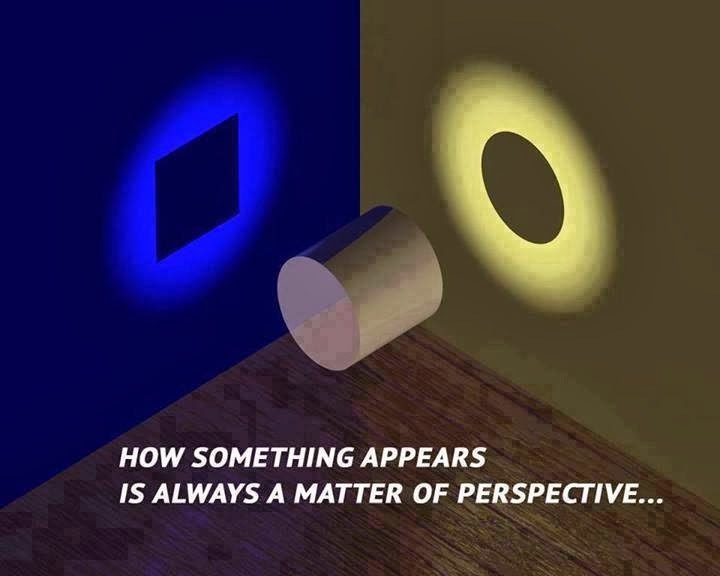 How things appears is always matter of perspective. Sometime changing the viewing angle will change entirely what you see. Same is true while solving any problem. Many of the times by changing the perspective make the problem appear very easy. If we look the same thing from a different angle it looks different. Here I am posting few of the picture which will show that changing the perspective changes the picture. First picture is art by Matthieu Robert Ortis. This is Optical Illusion in which one see Giraffe from one angle and when the view is changed by 90 degree, one will see an Elephant. This is excellent piece of work. Below picture summaries it very well. What do you see in the below picture? A Square of A Circle? Answer is both. Only perspective is different. This picture will also help to understand how the previous Giraffe or Elephant picture is made? This picture is part of Fun Optical Illusions. Below are the next and previous pictures in this series.